DETROIT (Bloomberg) -- General Motor Co.'s planned initial public offering may be “a tad earlier than people would like,” said the former head of President Barack Obama's automotive task force. 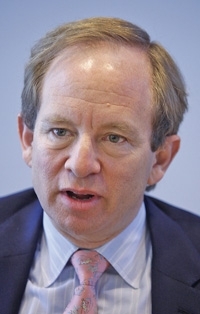 It would have been better if GM had more than two profitable quarters in the books, Steven Rattner said in a Bloomberg Television interview. GM reported second-quarter net income Thursday of $1.3 billion on a 44 percent jump in revenue, its second consecutive profit. Increasing profitability is part of the automaker's path toward an initial public offering. GM probably will file the registration statement with the U.S. Securities and Exchange Commission Friday, said a person familiar with the plan who asked not to be named because the discussions are private. GM, which is 61 percent owned by the U.S. government, emerged from bankruptcy in July 2009 and seeks to raise as much as $16 billion in the offering, which would make it the second-largest, behind Visa Inc.'s $19.7 offering in 2008.